Beauty is life and life is beauty. Life is a part of us in every way. Webster defines life as the existence of an individual human being. You exist. I exist. We are here together… we are here for a reason… called out of the darkness to live. To exist. We are designed to fight for life, for beauty to be in union with both. By nature we are yoked to beauty. We are born with a desire to see beauty because we yearn for and appreciate beauty. Beauty can be seen in every aspect of life. I was at a very large arts festival this year… very large… I mean thousands and thousands of people. Saturday morning… the biggest day of the festival, I opened my gallery space up ten minutes early to prepare for the crowds to start filling in downtown Fort Worth. It was beautiful weather after a Friday of rain. I was ready to meet people and sell my images. The first hour was steady traffic… not many buyers, but that is usual. People survey the artists’ work, evaluate the pieces they like, and then buy mid to late day so they don’t have to carry the work around the vast blocks of the festival. Usually, we have a steady traffic of small sales on a Saturday morning, but this morning we hadn’t sold a thing… not a thing! I honestly couldn’t understand it. In retrospect, I know now why I didn’t sell anything. It was so I would pay attention to what happened next. Usually kids come to the festivals with their parents because they have to come… mom and dad want them to experience the world of art or, let’s face it, they couldn’t find a sitter. It was close to noon when my perspective was about to change. It was coming up on noon. No sales. No prospects of sales. Except for the prospect I didn’t expect. A young man about the age of my third son, Nicholas, was walking around looking at images. He was so quiet I didn’t even notice him. He was not with anyone, so I assumed he was filling time waiting for his parents. Just then I was approached by an older woman who wanted to discuss one of my images, but nothing in her hand… I wasn’t expecting more than conversation, but that’s okay… I enjoy any opportunity to share. After a few minutes, I assumed the boy had left as I occasionally looked over the woman’s shoulder to find an empty space. As the woman wished me well and began to turn and leave, I see the boy who had been standing behind the woman. There was something different about the boy this time… he was holding a print. Just then a couple entered the gallery. They had been standing outside. I had assumed they were waiting for someone to meet them. My assumptions were correct, but was nowhere near right. The couple was the boy’s parents, and they were waiting on him. They were waiting on him to find his next piece for his collection. “How much is this, sir?” he asked. I replied with the price as he studied the image. 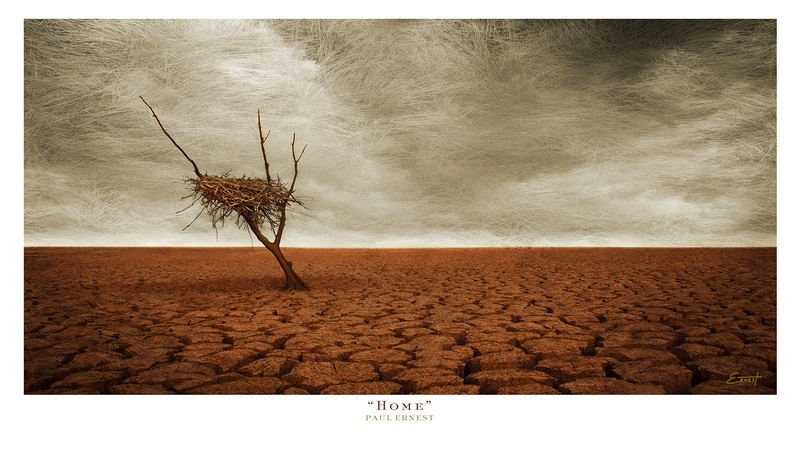 By the way, the image he was holding is one of my favorite… one that is a reflection of my faith… the image was “Home”. “May I ask your name?” I said. “Brandon,” he replied. “Nice to meet you, Brandon.” I said with a smile. “May I ask how old you are?” He said, “I just turned eleven.” Just then, he looked over his shoulder to his father with a smile. His father looked at me and said, “Do you accept cash, check or charge?” to which I replied, “Yes” with a smile. As I was preparing his image for purchase, I had to ask the question I always ask… only this time I was so anxious to know the answer, I thought I was going to jump out of my skin. “Brandon, what speaks to you about this image?” His response would change my attitude and teach me a life lesson. I was taught at a young age… always find a life lesson in every experience you have… every experience. We do not want merely to see beauty… we want something else which can hardly be put into words… well, Brandon… eleven year old, art collector Brandon did. “In the most barren places, beauty can still be found” he said. What that boy… what I mean is, young man said, just about brought me to tears. Let me savor those words again… In the most barren places, beauty can still be found. That’s why my morning was slow… It was so I would hear those words out of the mouth of an eleven year old young man. My… his parents must be so proud of that intellectual young son of theirs. What I learned is that beauty is shown through life. The life of people… of young sons and daughters. Beauty can be seen through the life of the broken and the life of the those with faith and hope. Yes… beauty is life and the fingerprint that life leaves behind. This is my story about beauty. ← May I Tell You a Story?